published April 20, 2019 at 8:09 a.m.
LIVE OAK — The City of Live Oak Community Redevelopment Agency (CRA), along with all City Departments have begun planning the 2019 Freedom Festival to be held in Downtown Live Oak Florida on Thursday, The Fourth of July 2019. The Community Partnership Street Fair begins at 5 p.m., centered at Festival Park with entertainment and recognition on the Millennium Stage set to start at 6 p.m. Fireworks are scheduled to light the sky behind the Historic Suwannee County Courthouse at approximately 9:30 p.m.
Suwannee County residents who are a WWII veteran, or the family member of a WWII hero, are asked to please contact Chief Williams at 386-362-7436. Seen here (from left) are Bell High School's Ty Powell, Teacher-Sponsor Bill Martin, Sahara Henderson, Rebekah Floyd, Teacher-Sponsor Jon Meinholz, Caitlin Anthony, Rotary President Aaron Haynesa, and Trenton High School's Rylee Pevey, Teacher-Sponsor Taven Bennett, Kaitlyn Schultz, Alexis Haynes, Nolan Frazier, Richard Hendricks and Abby Howell. Published April 16, 2019 at 2:49 p.m.
TRENTON -- The Interact Service Club students from Bell High School and Trenton High School came to the Gilchrist Rotary Club on Monday (April 15) to update our members on this fabulous first year of service in our community. And what a terrific year it has been - chock full of fun and doing good deeds for others! Interact Clubs are challenged by Rotary to perform at least one community service project and one global or international project each year. And our Gilchrist County students far exceeded that challenge! Taven Bennett, Interact Teacher-Sponsor for Trenton High School told us that it has been so refreshing to work with this group of students in the past year. She went on to say these students were given the opportunity to do positive things and be a good person in this world and that's exactly what they did! For projects they set everything up, organized it and carried out their ideas and she is honored to be part of their good work. Each student described their favorite activities in which they participated in this past year. Students told us about participating in the Homecoming Parade to raise their school's awareness of what the Interact Club is and does. During Red Ribbon Week they raised awareness about bullying with a project known as #InteractNicely (isn't that clever?) and for Christmas they adopted a child from the Guardian Ad Litem program. Students also talked about what new ideas they would like to implement in the upcoming year. Bell Teacher-Sponsors Jon Meinholz and Bill Martin described how amazed they are at these Interact Students because they are all so involved in other clubs and activities and yet they still find the time to do the good work of Interact and Rotary. The Bell High School Interactors (that is the term for Interact students) created a creative and heartwarming video that portrayed the accomplishments of their past year. Highlights included holding an essay contest for the character trait of the month for middle school students and collecting and transporting food, medical and personal items for our friends in the panhandle after Hurricane Michael devastated that area. The Bell students explained that they divided into three areas focusing on local/global issues, history and promoting social activities. Both high schools’ Interact students participated in the Rotary Poker Paddle this past September - a fun-filled day kayaking and canoeing on the Santa Fe River that raised monies to support the club's operating expenses for the coming year. Both THS and BHS Interact students participated in the Rotary Purple Pinkie as their global-international project to raise funds to eradicate polio in the countries where this dreaded disease still exists. Rotarians congratulated the students on their very successful inaugural year and thanked them and the teacher-sponsors for their hard work and support in making our community and world a better place to live. And, for exemplifying the Rotarian motto of "Service Above Self." Rotarian Jo Buckles reminded us that these students are the future of Rotary! Past President Bob Clemons specifically thanked the teacher-sponsors for their work in guiding the past year's activities. We are so proud of our Interact students! Thank you for making this first year so commendable and fun! Five deer recently visited a location in the Tri-County Area of Levy County, Dixie County and Gilchrist County. Deer, wild hogs, turkeys, armadillo, raccoons, skunks, squirrels, and a plethora of many other types of wildlife -- including common and rare birds are found throughout the Tri-County Area. One of the deer saunters away. This deer’s eye appears to be lighting up as a result of a flash from the camera. Although the deer may appear to be speaking in the video, this was taken with a long lens and the audio has been removed due to background noise. Photos and Video By Jeff M. Hardison © April 13, 2018 at 11:19 a.m. Published April 11, 2019 at 8:39 p.m.
CAMP ANDERSON -- Last weekend we hosted our annual “Rock the River” outreach event to the child welfare community. There were about 150 at risk kids here, the majority of whom live in group homes. Most of them have no opportunity to hear the gospel or to go to church. Many of these kids have been abandoned, abused and neglected. This is an “unreached people group” that lives right here in our society. We are moved with compassion for these kids as they desperately need someone to care, to love them and to tell them about that God cares and loves them. This past weekend was monumental. About 30 of these kids gave their lives to Jesus Christ and 27 of them were baptized in the river on Sunday morning (April 7). Below are just a few of their pictures and testimonies in their own handwritten words. As you read these you will sense the incredible nature of what happened here. 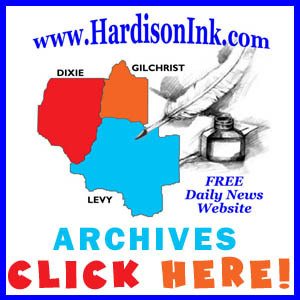 Published April 10, 2019 at 10:39 a.m.
GAINESVILLE -- Elder Options is seeking representatives for its Board of Directors in Levy County and Suwannee County, and Advisory Council members and Gilchrist, Lafayette, to Lake, Marion, Suwannee and Union counties. Elder Options’ mission is to ensure that communities have a trusted and unbiased place to turn for information, resources and assistance. This group advocates for, and cooperatively works with, communities to strengthen support systems and create new and innovative service options that focus on personal choice and independence. The Mid-Florida Area Agency on Aging Inc. (doing business as Elder Options) was established in 1977 as a private, not-for-profit 501(c)(3) corporation. Elder Options is the state-designated area agency on aging, Aging and Disability Resource Center (ADRC), and 1-800 Elder Helpline (1-800-963-5337). 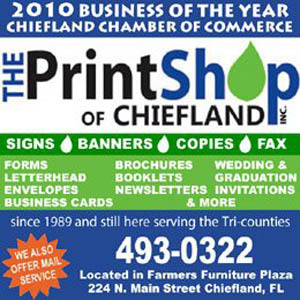 The agency is charged with administering state and federal grant-funded programs and providing direct services to benefit elders, people with disabilities, and their informal caregivers in a 16-county Planning and Service Area (PSA) in North Central Florida, which includes Alachua, Bradford, Citrus, Columbia, Dixie, Gilchrist, Hamilton, Hernando, Lafayette, Lake, Levy, Marion, Putnam, Sumter, Suwannee, and Union counties. Elder Options is governed by a voluntary Board of Directors who represent the organization and provide oversight. The Board is supported by the agency’s Advisory Council, which includes seniors and community representatives from across the Planning Service Area of 16 counties. Elder Options’ Executive Director Kristen Griffis has served in this key leadership position since 2006. Elder Options has a well-established and strong infrastructure, experienced and dedicated leadership and staff, and an extensive network of partners. The agency has more than 35 years of experience developing and administering programs, and providing support and direct services. In 2012, Elder Options was designated as an ADRC. As such, it expanded its support system for people with disabilities and partnership with their service providers. Meetings are quarterly and travel is reimbursed. Any person willing to volunteer to be on the Board of Directors representing Levy or Suwannee counties or on the Advisory Council from Gilchrist, Lafayette, to Lake, Marion, Suwannee and Union counties, is asked to visit https://agingresources.org/ for an application or call 352-692-5214 to indicate his or her interest in giving that service to help the elderly or disabled. Drollene Brown holds her certificate as a Real Possibilities award winner and she holds a volunteer service award pin. The Real Possibilities is an AARP Chapter and REA Unit Community Service Award. Published April 9 2019 at 12:09 p.m.
WILLISTON -- Volunteer Appreciation Day for Williston Area AARP Chapter 912 found 14 members honored for the hours they had volunteered in 2018. A recipient of an award for giving volunteer hours to help Williston Area AARP Chapter 912 -- Mignon Craig. A total of 917.75 hours were logged and reported. President Sharon Reynolds presented pins to honor each volunteer. Receiving volunteer pins were Lynda O’Toole, Drollene Brown, Mignon Craig, Ed Donovan, Brandon Peters, Sharon Reynolds, Jim Harris, Joe Gibbons, Sue Vogt, Dorothy Whiteman, Betty Fender, Vivian Bermudez, Harriett Jones and Stacey Peters. These presentations were followed by honoring those who had been members of the chapter for at least 20 years. Receiving 30-year pins were Lena Brown, Hazel Daggett and Alphonso Johnson. Howard Brown received a pin for 25 years’ membership. Jim Harris received a 20-year pin, as did Adelia and Dave Vachon. The First United Methodist Church Women of Chiefland, who are known as Sunshine Disciples, held a yard sale and bake sale Saturday (April 6) at the church. The United Methodist Men of First UMC Chiefland were conducting a cemetery clean-up operation on that morning. Photos by Jeff M. Hardison © April 7, 2019 at 10:49 a.m. Published April 5, 2019 at 2:09 p.m.
TRI-COUNTY AREA -- Quitting tobacco isn’t easy. Finding help is. Pre-registration is required. Call 866-341-2730 or visit http://www.ahectobacco.com/. Saturday, May 4 9:30 - 11:30 a.m.
Tuesday, April 30th 1 p.m. - 3 p.m.
Tuesday, May 28 1 p.m. - 3 p.m.
You select your quit date. 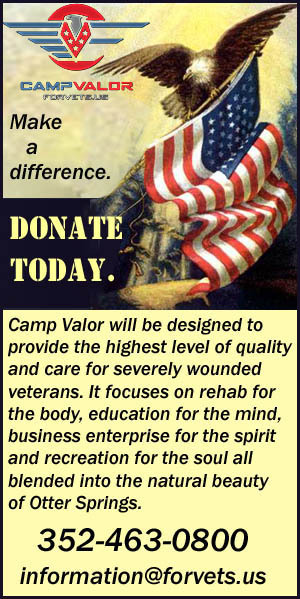 For more information or to register for groups in your county, please call or visit the website. Published April 5, 2019 at 1:49 p.m.
BRONSON -- Summer BreakSpot is part of the national Summer Food Service Program, a federally funded program operated by the United States Department of Agriculture and administered in Florida by the Florida Department of Agriculture and Consumer Services. Eligible sites, including nonprofit organizations, schools, churches, libraries, parks, camps, local governments and more, are invited to serve nutritious meals free to all children younger than the age of 18 during the summer months. 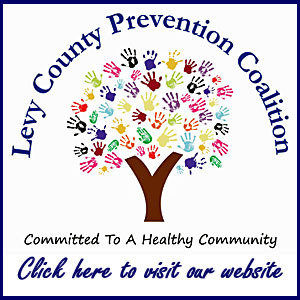 The School Board of Levy County will be offering FREE breakfast and lunch to eligible sites serving children under the age of 18, Monday through Thursday, starting June 3 and ending August 1, 2019. If you are interested in hosting a program site, the School Board of Levy County Food & Nutrition Services department will be accepting applications starting April 22, 2019. Applications may be obtained by calling 352-486-5244, Monday through Friday, from 9 a.m. – 3 p.m. Meals will be available for pick-up from local elementary schools. Supervisors from approved eligible program sites are required to attend a two-hour training course offered on Thursday, May 9, from 2 - 4 p.m. in the District board room located at 480 Marshburn Drive, in Bronson. The School Board of Levy County is an equal opportunity provider. On Nov. 1, 2011, The Christian Press section on The Life Page of HardisonInk.com started, about nine months after the start of the daily news website -- which officially began Feb. 1, 2011. 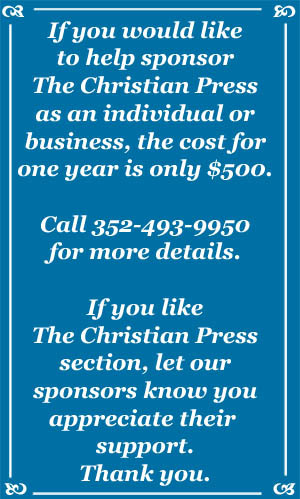 The name "The Christian Press" was derived from an encounter a decade earlier in 2001 in St. Petersburg, when and where a man mentioned to a journalist that this particular journalist must work for "The Christian Press." Although the presumption was incorrect and misplaced, the name sounded good. And the the journalist said that if he could work for The Christian Press, then that certainly would be the publication to serve. Since Nov. 1, 2011, The Christian Press section of this page has run daily devotionals from several individuals who contributed over the past eight years. Many daily devotionals are pulled from Strength for Service to God and Country (Whitmore & Stone © 1942; Renewed 1969 by Norman E. Nygaard; Second revised edition © 2002 Abingdon-Cokesbury Press, Providence House Publishers). I note my appreciation for the use of those devotionals from that now-defunct publishing company. I welcome contributions of daily devotionals. Daily devotional authors are asked to please send only their original works to hardisonink@gmail.com. April 22, 2019 Sunday at 8:09 a.m.
Everyone has hopes. Hope is like a sprinkle of water. Just as water bubbles forth from the spring, so thoughts and plans bubble forth from the spring of hope. Usually our hopes are colored by the things that have happened in our lives so far. If life has inspired us with several noble hopes, we are indeed fortunate. Aside from individual and specialized hopes, there are some general hopes, which it is good for all to have. It is good to hope for employment in a congenial occupation, time to cultivate a hobby, pleasant social contacts, an agreeable home life, and a satisfying religious experience. Faith will help us realize our hopes. Without faith, hopes are mere daydreams. Those who have achieved have been those who sought guidance from beyond. To trust God and to see through the eye of faith the realization of our noble hopes is the tonic that will guide us through the storm. Faith will keep the fires of victory burning in our hearts. Without faith we perish. Both our hopes and our faith must be permeated with love. Without love, we become the most fatigued and unhappy persons imaginable. Love of those things for which we hope, love for God, and love for the justice of our cause will carry us through. If we would see the dawn tomorrow, we must be loyal to the obligations of today. Faith, hope and love are guideposts on the road to true life. GOD OF OUR FOREFATHERS, and our God: inspire us with noble hope; strengthen our faith; and permit our love for justice and righteousness to grow daily under the guidance of Thy Holy Spirit. Amen. Published April 18, 2019 at 9:39 a.m.
Pastor Alex Christian of First United Methodist Church of Chiefland provides a daily devotional video each Monday through Thursday via the church's Facebook page. Pastor Christian (or Pastor Alex as some people call him) in this video offers insight as well as other as aspects that may be inspirational to individuals. From now through Easter, Pastor Christian will be focusing on how we are all sinners and saints. In his four daily videos this week (April 15, 16, 17 and 18) Pastor Christian plans to share with people through the story of Mary Magdalene how Jesus’ resurrection transforms us, so we can transform the world. The pastor provides insight today (April 18) about our role in bringing others hope. Click HERE to see and hear this pastor in this video. 11 Now Mary stood outside the tomb crying. As she wept, she bent over to look into the tomb 12 and saw two angels in white, seated where Jesus’ body had been, one at the head and the other at the foot. 13 They asked her, “Woman, why are you crying?” “They have taken my Lord away,” she said, “and I don’t know where they have put him.” 14 At this, she turned around and saw Jesus standing there, but she did not realize that it was Jesus.15 He asked her, “Woman, why are you crying? Who is it you are looking for?” Thinking he was the gardener, she said, “Sir, if you have carried him away, tell me where you have put him, and I will get him.” 16 Jesus said to her, “Mary.” She turned toward him and cried out in Aramaic, “Rabboni!” (which means “Teacher”). 17 Jesus said, “Do not hold on to me, for I have not yet ascended to the Father. Go instead to my brothers and tell them, ‘I am ascending to my Father and your Father, to my God and your God.’” 18 Mary Magdalene went to the disciples with the news: “I have seen the Lord!” And she told them that He had said these things to her. By Gary Miller © April 15, 2019 at 6:49 a.m. I noticed my actions during a turkey hunt a few mornings ago. I had not heard a bird gobble for a few days, so there I was waiting again for that familiar sound. I always arrive just before daylight and make my way to a central place in order to be heard should I do a shock call and in order that I might hear the location of a bird should it choose to respond. Or sometimes I just wait silently and let the birds talk on their own. This was my position the other morning. I just stood and listened and then I sat and listened. As the sun began to rise, listening would now have to be filtered through other noises that might easily drown out the specific call I was listening for. Sometimes those other sounds are known to get a tom talking especially the caw of a crow or the shout of a rooster. Nothing seemed to stir the angst of any gobbler that morning. So I just waited as the morning grew older and refused the urge to muddy the air with my attempt to locate a bird. I decided to go to the place of my last encounter. I did so, called, and was met with the gobble I had come to hear. It was there all the time – silent. I was there all the time as well – patient. I wonder what would have happened if my silence had been replaced with noise and my patience had been replaced with activity. I’m pretty sure I know. As I stood atop that hill that morning I was reminded that many times my call to God has seemingly been met with silence. Many of those times I equated silence with absence and left too soon. Sometimes I determined that His silence meant that I needed to call louder and more frequent. This too I misinterpreted. God’s silence is not His absence and it is also not His desire to hear more from me in order for Him to be convinced. Most of the time His silence is a test to see how my faith in Him has progressed. Not that He needs to know (He already does), but so that I might know if my trust is based on sight and sound or simply by the promises He has already given me. What should I do when I perceive His silence? I should do exactly what I did the other morning. Go to the place of my last encounter and wait. Gary Miller has three books that are compilations of the articles he has written for nearly 15 years. He also speaks at game dinners and men’s groups for churches and associations. 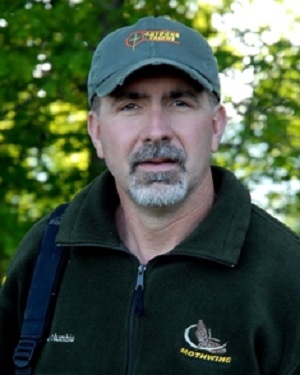 Gary Miller's website is located at http://www.outdoortruths.org/. By Guy Sheffield © April 16, 2019 at 2:09 p.m. The delta fields had exploded in white… like huge bags of popcorn nuked in the September heat. Everywhere thick tufts of cotton burst forth from the bolls that had once concealed their glory. It was harvest time. The gins workers stayed late into the night, spitting seeds and stacking bails. The farmers rumbled along wearily atop the growling steel mammoths which hungrily ravished the fields, two rows at a time. Payday was near, and it pleased a man to see the fruit of his labor. Yes, excitement was in the air. Well… not for me- really. I was just a bored little kid wishing my Papa would get down off that big John Deere long enough to take me fishing. Back and forth he rode, wiping sweat from his brow with an old shop rag. From sunup to sunset he continued, and beyond. For me it was the most boring time of the year. Forty yards down we spotted the first cotton tail. I leaped from my perch and took out with Papa hollering directions from the cab. Each time I’d close in on that little varmint he’d turn on a burst of speed and leave me in the dust; literally. I got so mad! Papa’s thought it was funnier than the Loony Tunes. He got to laughing, and taunting, and just having a regular ‘Good ole’ time’; but he also kept moving. After each rabbit trek I’d have to make a mad dash back to the picker. Eventually, the silly wabbits wore me out. I just puckered up, plopped down in the dirt and bawled. Muddy trails streaked my flustered little cheeks. Fishing for sympathy, I was treated to the sound of Papa’s guffawing over the roar of the engine as he lumbered away. I did feel better after slinging a few dirt clods at him. On his way back Papa finally took it out of gear long enough to explain to me how to catch a rabbit. “Dem rabbits is fast der boy,” he said, “But they can’t go long. You gotta stay with em’ till they tire out.” With this new found wisdom, I wiped my eyes and climbed back up the ladder. Sure enough, I stayed with the next rabbit relentlessly until I simply wore him out. Poor thing sat there shivering, its little heart pounding ninety to nothing. “Dat’s it der boy,” Papa called, “We’ll have him for supper!” I cradled the little critter in my arms and started back to the picker, but on the way those poor little brown eyes started to work on me. By the time I caught up with Papa I reluctantly flagged him to a stop, “I’m just going to let him go, okay Papa?” Papa shook his head, rammed it back in gear, and rode off roaring with laughter. We Christians need to stay busy harvesting. Can't you see how white the fields are? Can’t you feel the excitement in the air? It’s almost payday! You won't catch my tail stuck in the rungs of the devil’s ladder anymore. Tricks are for kids. Copyright information and a byline must be included on each feature emailed or published from this website, which is what is seen above this closing sentence.